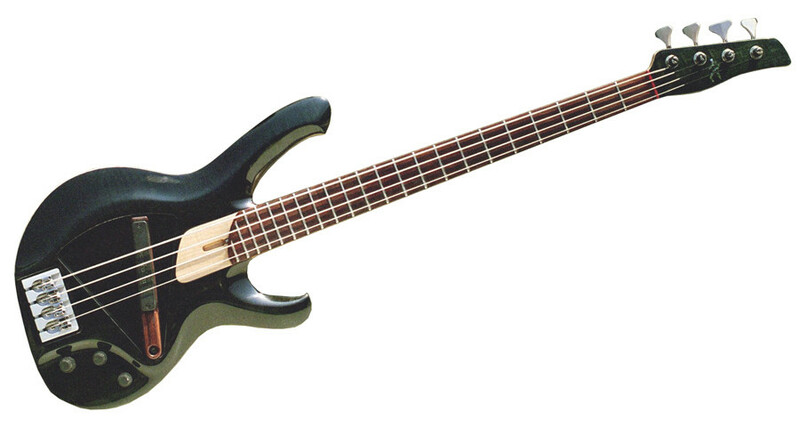 The vViper bass offers a wide range of tones in an intuitive and ergonomically comfortable package. 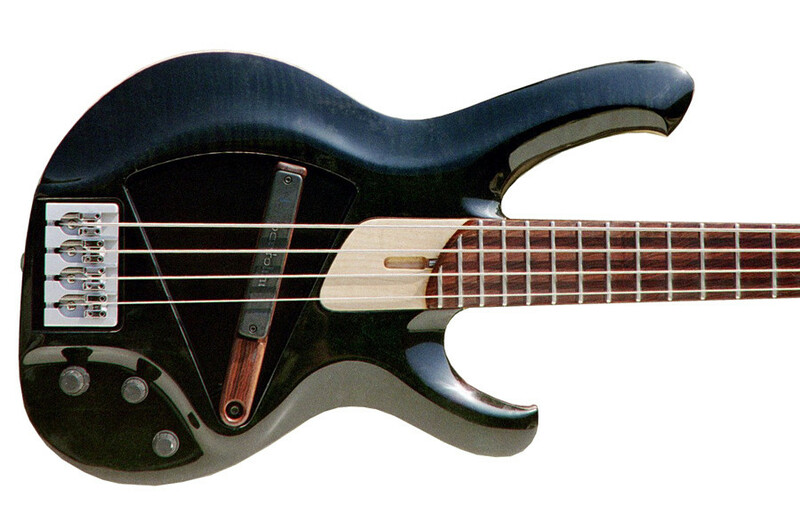 Simple to use, it opens new possibilities to the bass player beyond the traditional electronic shaping of the sound. 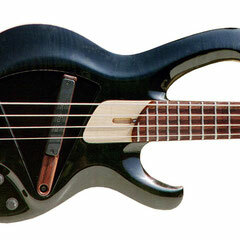 Played direct, or through the onboard preamp, the moveable pickup delivers infinite shades of tone. 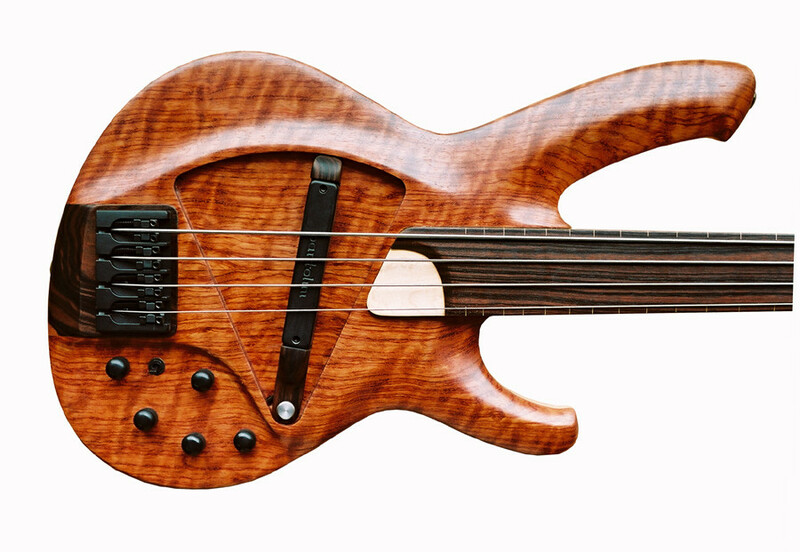 The vViper bass employs a patented “wiping” pickup, custom designed to sense the strings across a wide swath of tonal variations. Bill Bartolini designed this pickup for this specific application. More about the history of the vViper development can be found here. 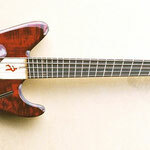 Flame Bubinga over Swamp Ash. 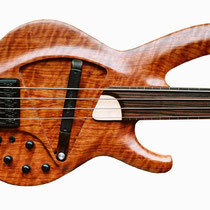 Maple neck w/fretless Macassar Ebony neck. 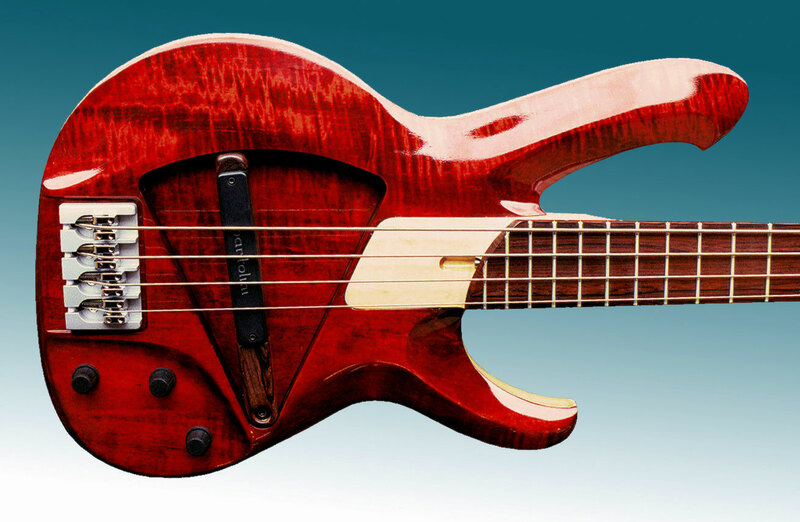 This bass has Graph-Tech piezos in the Hipshot bridge in addition to the Bartolini pickup and preamp. 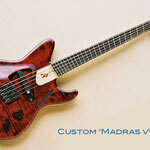 Flame Maple top over Swamp ash body. 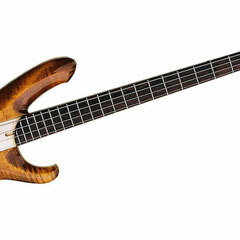 Maple neck w/Cocobolo fingerboard. 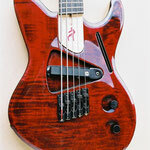 Hipshot bridge and tuners, Bartolini pickup and electronics. Custom 'piccolo' bass w/Novax fanned frets fingerboard. Swamp Ash body w/flame Maple top. 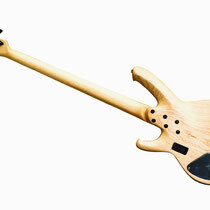 Maple neck w/Macassar Ebony fingerboard. 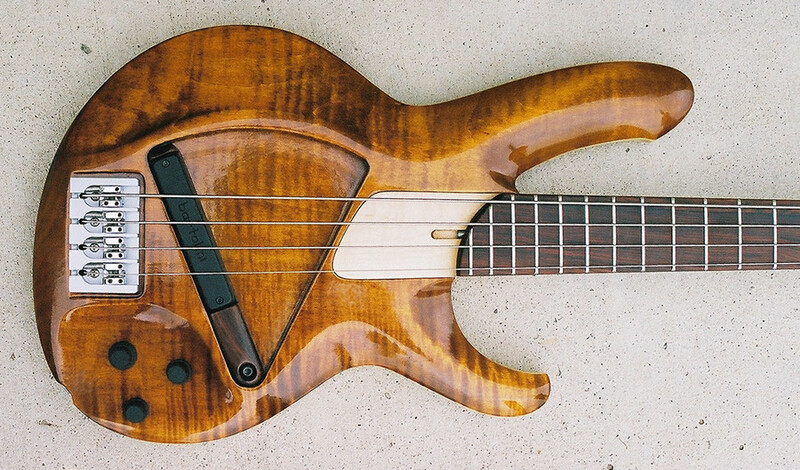 Lane Poor Jazz pickup. 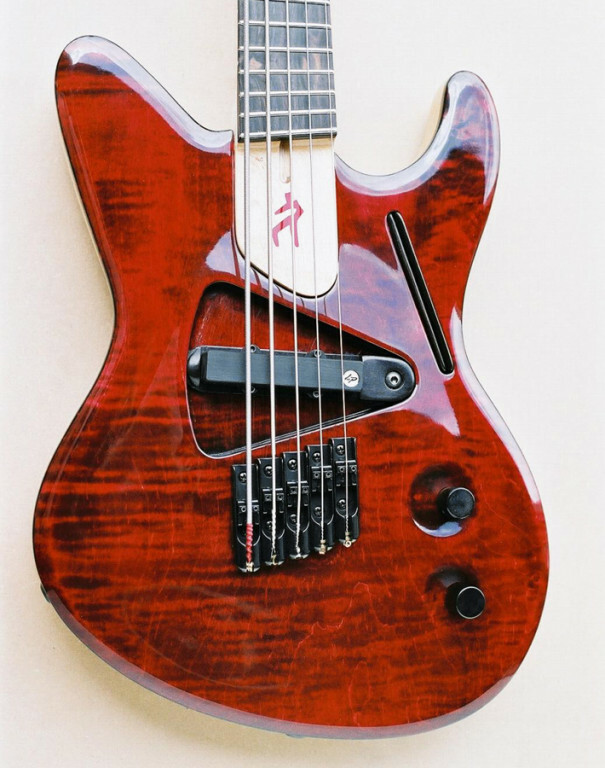 Sperzel locking tuners and single-string bridges. The slit on the lower bout is designed to hold picks. 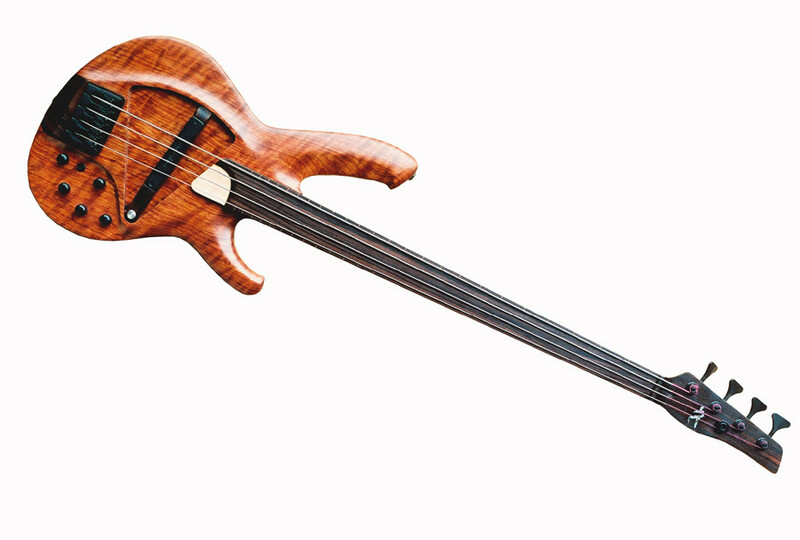 This instrument was built to the exact specifications of the client to suit his unique playing style. An experiment with a traditional body style. 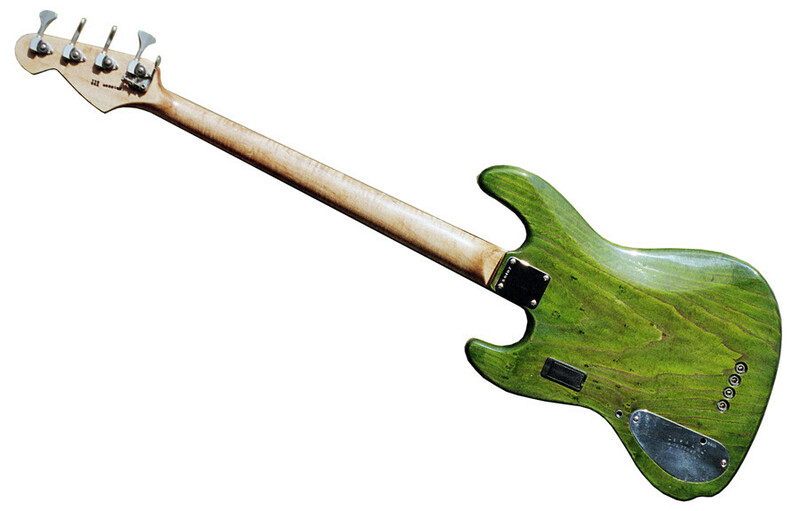 Swamp Ash body, Maple neck w/Cocobolo fingerboard. 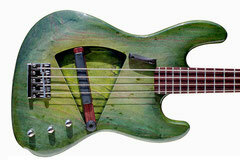 Green-burst stain w/nitrocellulose lacquer. 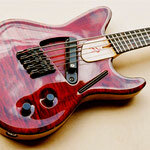 Hipshot tuners w/ D-tuner. Classic vViper. 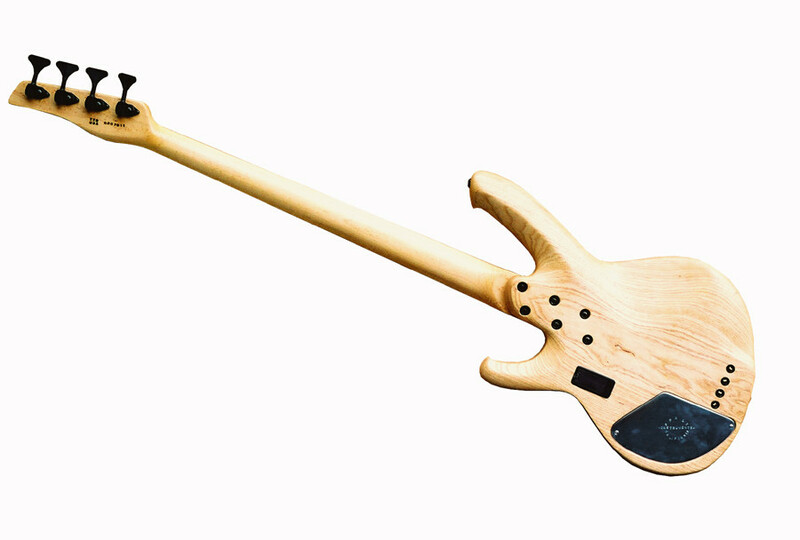 Swamp Ash body with flame Maple top, Maple neck w/Cocobolo fingerboard, Bartolini pickup and preamp, Hipshot bride and tuners. The back is oiled, the top lacquered. 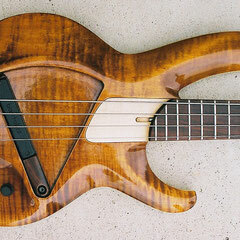 Figured Bubinga over Swamp Ash body. 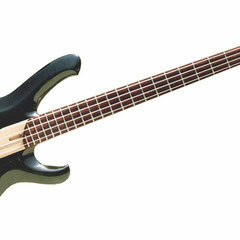 Maple neck w/Macassar Ebony fingerboard and headstock overlay, fretless. 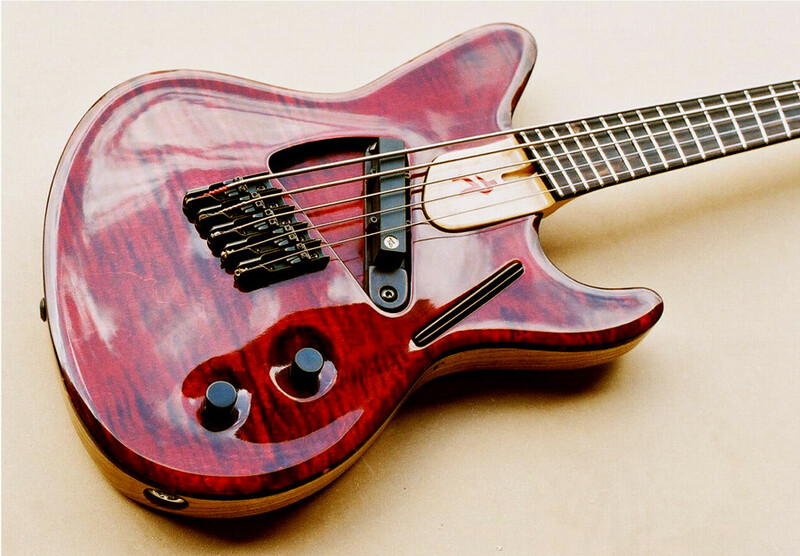 Bartolini pickup and preamp. 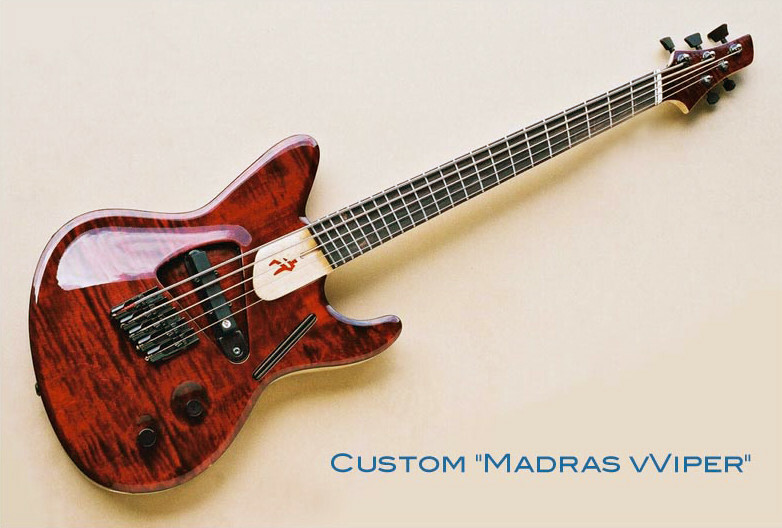 An older Washburn piezo bridge pickup is set into the custom-made Macassar Ebony bridge and can be blended into the mag sound. 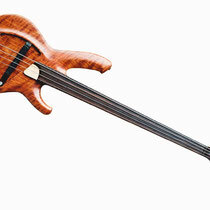 I like using piezos on fretless basses - they help with approximating the sound of an upright bass.